Earlier this afternoon, 40-year-old, Daniel Blair of Mims was arrested in Ormond Beach. Blair is the alleged suspect in a homicide that occurred in the 1800 block of Kirby Drive, Titusville this morning. 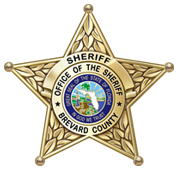 Blair was taken into custody by the Ormond Beach Police Department with the assistance of the U.S. Marshall’s Task Force after an arrest warrant was issued by a Brevard County judge. 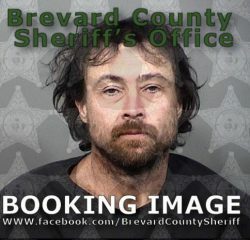 Blair is in the custody of the Ormond Beach Police Department and faces local Volusia County charges. 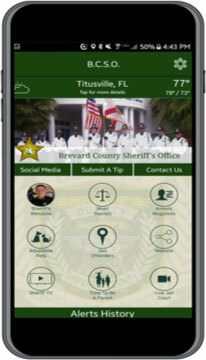 He will be charged with Felony Murder, Burglary and Robbery upon his release and extradition to Brevard County. The investigation began at approximately 9:10 a.m. this morning when deputies responded to the 1800 block of Kirby Drive, Titusville, where they discovered the deceased body of an adult. Deputies went to the residence after receiving information that a person had advised that a murder may have been committed at the residence. The investigation to date has revealed that Blair entered the residence during the early morning hours and attempted to rob the victim who was at the house. The male was killed during the robbery. After the murder, Blair confided in an individual that he had committed the murder and was leaving the area. Blair left the residence in the victim’s stolen pickup truck. Blair was then observed by an Ormond Beach Police officer in the stolen vehicle, in Ormond Beach, at approximately 5:00 p.m. Blair fled when officers attempted to arrest him and was taken into custody after he was involved in a traffic crash in an attempt to avoid arrest. The investigation is ongoing and the identification of the victim is being withheld pending notification of next of kin. Anyone who may have information about this death is asked to please call Agent Wendy Wheeler of the Brevard County Sheriff’s Office Homicide Unit at 321-633- 8413 or CRIMELINE at 1-800-423-TIPS (8477). All calls to CRIMELINE are confidential and callers can remain anonymous and be eligible for a reward.